Our canine friends are wonderful, and they totally deserve to get nice presents. But what can you get a dog? A treat, a toy, or, maybe, another dog? That would be a good one! 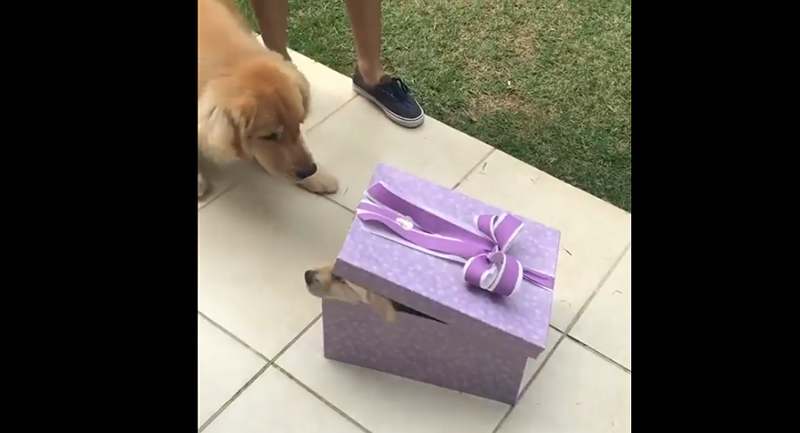 This golden retriever was really surprised the see another tiny retriever in the box. 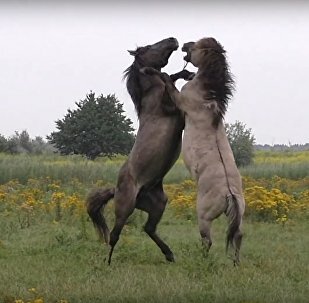 Well, the puppy will be really happy to have a home, and his new big friend will be amazed to get a new playmate!